The MRO for Business Aviation is closely linked and intertwined with general aviation. The growth in general aviation MRO combined with FAA certifications and quality service will be a win-win for the Business aviation. India’s aviation sector has become the world’s fastest-growing aviation market. According to a passenger forecast issued by the International Air Transport Association (IATA), it is expected to become the third largest aviation market by 2026. A smaller part of this prediction is the business aviation industry, which has been on a slow upward trajectory. The industry saw phenomenal growth between 2006 and 2009, and the industry has maintained a slow-paced growth thereafter. India has the largest fleet of charter aircraft in Asia, and is mainly dominated by mid-size private jets. The present industry comprises 139 business jets, 248 helicopters and 102 turboprops. Popular aircraft in the Indian market are the Falcon 2000, Hawker 850XP and Cessna Citation XLS. The role played by the Business and General Aviation industry is finally seeing a rising trajectory as the Government of India accelerates its vision to improve air connectivity and tourism in India. The General Aviation (GA) market, which includes business jets, is expected to grow at almost 10% per annum to cross about 16 billion INR. 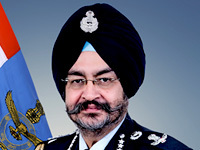 The sector comprises aircraft owners, pilots, engineers, technicians, operations staff, and also the regulator, who continue contribute directly and indirectly to the GDP in a significant manner. In USA many business aviation operators under Part 135 category, have evolved to additionally operate Commuter flights (commercial scheduled-non airline, using small aircraft). Such an evolution might happen in India as well, depending on the success of India’s new civil aviation policy which was released in June 2016. With the economy growing at a fast pace in the 2000s, a strong business environment and corporate ecosystem saw Indian businesses benefit from business aviation. 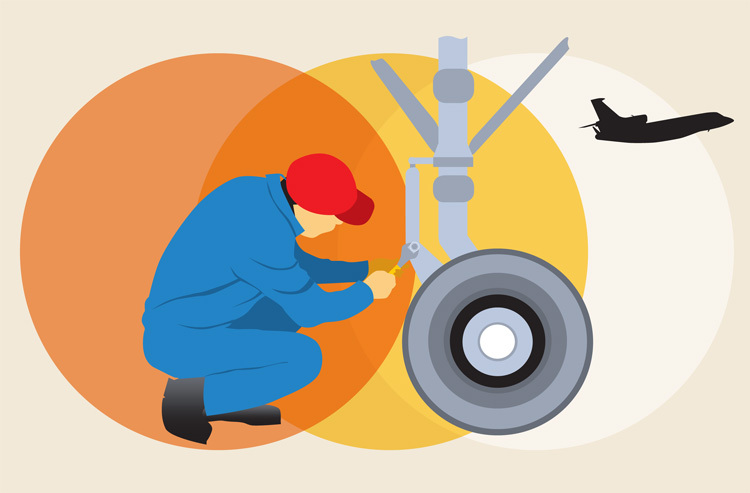 Alongside, as support to the aviation industry, the opportunity to provide maintenance, repair and overhaul (MRO) activities has also grown with the industry. India’s MRO segment is estimated to grow furthermore at 10% and reach USD 2.6 billion by 2020. 100 per cent foreign direct investment (FDI) is permitted under the automatic route for MRO, flying training institutes and technical training institutions. Also, the government has also undertaken a major programme to develop and improve the ecosystem for the civil aviation sector. Alongside, as support to the aviation industry, the opportunity to provide MRO activities has also grown with the industry. India’s MRO segment is estimated to grow furthermore at 10 per cent and reach $2.6 billion by 2020. The Indian MRO industry has been, for long, severely affected by numerous taxes, losing out to their international competitors. The industry had been opposing the levy of the 13% royalty levied by the Airport Authority operated airports, along with the 12.5% service tax, and an import duty including countervailing duty of 18.5% on spares. Realising the potential of the sector, the civil aviation ministry decided to roll back a hike in royalty charged from the companies providing maintenance, repair and overhaul services (esp. for business jet owners and charter flight operators). Despite many challenges, air-framers (like Bombardier, Embraer, Cessna, Falcon, Gulfstream, etc.) are not holding back in strengthening their resources in India. Cessna is looking to create another service centre in India, Hawker Beechcraft is setting up a service centre in Mumbai, to add to an existing one in New Delhi. It is also planning a bonded warehouse to increase the availability of spare parts. India’s ministry of civil aviation is working on a model that would better accommodate business aircraft management and being spearheaded by India Business Aviation Operators Association (BAOA). These new guidelines would help the country’s business aviation sector to become more cost-effective. It is learned that the ministry of civil aviation had appointed an economic advisor to liaise with numerous ministries, including those of finance and trade, to ensure the rules are enforced expeditiously. Present guidelines require every non-scheduled operator to handle its own fleet management. Eighty percent of such operators in India have only one aircraft. Each owner is required to have a maintenance technician, flight safety manager, and a complement of pilots with every aircraft, increasing the cost substantially. Even if the aircraft is not underutilized, operations costs go up by at least two to three times compared to an aircraft management company handling a larger fleet. As a result, economies of scale cannot be reached. Air Works’ Dubai-based subsidiary Empire Aviation—one of the region’s largest managed fleets of business jets has been waiting to start aircraft management services in India. Unlike the US with zero import tax rates, certain countries in Europe also have differential tax rates on commercial and private aircraft as in India, but take a more mature attitude towards it. India imposes high and differential import duties on business aircraft based on their end use. For charter companies, it is at 18 percent; that rises to 28 percent for aircraft procured only for personal use. A dedicated infrastructure for business aviation has been lacking in India, and there is an absence of dedicated business aviation airports in the country. In 2009, India’s first dedicated corporate aviation terminal was opened at Mumbai. In 2016, Bird ExecuJet Airport Services was appointed by Delhi to establish a dedicated FBO and MRO. The project is likely to be completed by 2020 and will be India’s first full service-offering FBO in the country. The present industry is undergoing a consolidation phase, and small fleet aircraft owners are now looking to surrender their air operator certificates (AOCs) and shift to aircraft management companies. Aircraft management companies offering charter, maintenance and management under one roof will have more acceptance and demand in the future. Bird Execujet Airport Services is one such company based in New Delhi, acting as a one-stop shop solution for its clients, with an FBO, MRO, and aircraft management and concierge services under one roof. There are three main options for private jet users — they can purchase a jet, lease/hire a jet or buy a share in a fractional membership scheme. The eventual decision to buy or lease the aircraft depends on the frequency of flying and the financial wealth of the company. Buying a jet makes economic sense for those who fly over about 400 hours a year. However, its maintenance is a very tough job and will require investment in hiring the staff required for operation. Pilot salaries, fuel cost, plane maintenance and storage are some of the major cost areas. On the other hand, leasing a private jet is considered to be the best business model when it is required for personal usage. Leasing a jet does not involve a lengthy process or huge cost as seen in purchasing a private jet. In the leasing process, a company or individual can take the private jet on lease from the leasing companies on a contract basis that varies as per the client needs. In general, leasing offers a number of compelling cash management and risk benefits over ownership. The third alternative, that is, the fractional membership ownership scheme is gaining equal importance in the Indian private jet market along with leasing. The fractional ownership model offers an individual or company the option to purchase a share of an aircraft, which can be as little as 1/16 of an aircraft, offering approximately 50 hours of flight time per year, to 1/2 of an aircraft depending on the needs of the operator. In addition, the management company provides all scheduling, flight planning, staffing, catering, maintenance, communications, and insurance services. A fractional owner just has to call the dispatcher and request for a flight. In India, most of the private aviation aircraft are purchased by the companies/Individuals rather than leased. Purchasing an aircraft provides long-term benefits to the companies rather than shortterm gains. However, risks are equally involved in the purchasing of the aircraft. The owners of executive jets don’t haggle over price. They would rather push you for the right level of service and quality than bargain aggressively. Air Works has three major facilities in India with hangars at its base in Mumbai and Delhi dedicated to GA. A third facility at Hosur, near Bengaluru, handles commercial airline MRO, carrying out C-checks on B737s, A320s and ATR turboprops. The company also has line maintenance centres at nine other locations around the country. Air Works plans to acquire more hangars in India for GA and may look at an opportunity to gain a toehold in the Middle East. Along with this strategy, Air Works is likely to continue to pursue commercial aviation through its narrow body hangars and a wide body hangar currently being built at Hosur. The company also took over the British firm, Air Livery, Europe’s largest aircraft painting business. A new wide body paint shop is being built at Hosur. It will be the only such facility in the Asia-Pacific outside of China. With the potential arrival of several major MRO operators in India, mostly joint ventures (JVs) involving big foreign companies, the competition is heating up. US manufacturer Boeing is setting up a multi-million-dollar MRO facility at the SEZ near Nagpur in a JV with Air India. The USD 100 million MRO, spread over an area of 50 acres, is a part of the industrial offset agreement between Air India and Boeing following the placement of a massive USD 11 billion order for 68 Boeing aircraft, including 27 B787 Dreamliners, in January 2006. Malaysia Airlines, GMR Hyderabad (MAS-GMR Aerospace) has already a 10-year deal with Jet to provide heavy maintenance for the carrier’s entire fleet. The facility initially offers C- and D-checks for A320s and B737s and will move onto long-haul types. Dassault Aviation, a part of French aerospace company Groupe Dassault, has drawn up an ambitious map for expansion in the Indian market. The company, with a majority share in the Indian business jet market, is looking at setting up an MRO centre. Its business jets are sold under the ‘Falcon’ brand name. There are, however, other challenges in the way of MROs in India. Imported spare parts attract customs duty and there are various service taxes that add to costs. The Indian government needs to develop aviation and the MRO sector in a strategic and comprehensive manner, including investing more money into training. Leased aircraft (nearly 60 per cent aircraft are leased or vendor financed in some form) require Federal Aviation Administration (FAA) facilities for MRO to satisfy the lease covenants, leasers typically being western financial companies. FAA-approved MRO facilities in India are currently far and few. In October 2015, when a new policy to give a push to the maintenance, repair and overhaul, or MRO, sector in India was announced, hopes were high. The industry wants the Airport Authority of India (AAI) to allow MRO work to happen at its airports across the country. Although this is permitted at their airports, detailed rules and regulations make it practically impossible. The space needs to be made available at reasonable rents and procedures simplified for MRO work to be carried out. Sources also argue that rents at the two main airports of Delhi and Mumbai need to be rationalised. Rents charged at Delhi and Mumbai airports are 50-100 per cent higher than that charged at equivalent facilities in Europe and Turkey. Another issue for the MRO sector is poor training infrastructure. The quality of institutes that are approved by the DGCA for technicians for MRO work is so poor that companies effectively have to retrain them for two years before they let them loose on the aircraft. Other than one or two reasonable quality institutes in Bengaluru, there are at least 20-30 institutes that do not even have an aircraft in-house for training. While there has been some progress towards fulfilling the fair demands of the beleaguered Indian MRO sector much more needs to be done to revive the industry. Government support is vital for the growth of MROs in India. MRO work for aircraft registered in India must be treated as deemed export and the irregularities in tax structure faced by the Indian MRO industry when compared with their overseas competitors must be eliminated. MROs should be included in the harmonised list of infrastructure sub-sectors. Engine and component MROs should also be included under infrastructure, even if they are not located at an airport, to enable them to compete with overseas rivals. MROs in India, which are capable of maintaining the engines and the components of foreign operators, should be allowed to export substitute engines and components to these foreign operators against the equipment sent to India for MRO work. The biggest boost to ‘Make in India’ and to ‘Skill India’ will be growth in numbers of aircraft, be it scheduled airliners or business aircraft. The government must pull out all stops to ensure fleet growth and more jobs. Every tax and import duty application, or procedure needs to be looked at through this prism. The current deficiency in technological expertise will have to be met through skill development. The Ministry of Civil Aviation (MoCA) has drawn up plans to set up a National Aviation University (NAU). BAOA has also embarked an ambitious plan to start its own training academy to meet the requirements of the BA/GA industry. At present a lot of emphasis and focus is given to scheduled airlines, right from the planning stage until the implementation of aviation policies and programmes. 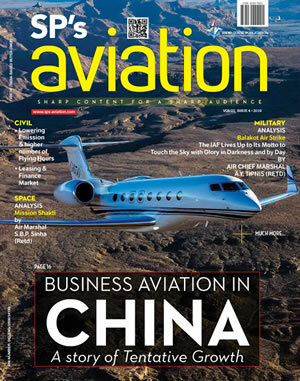 With the growth of business aviation, it is time for the policy makers to consider the role of this sector in contributing to the economy and its specific needs, which are far different from that of the commercial airlines. Business aviation is an integral part of air transportation akin to on-demand cars/taxis while scheduled airlines are akin to public buses. Both modes of transportation have their place and need to be encouraged, on roads and in air. More specifically, there is a need to acknowledge the role of the sector in nation building, There are encouraging words from the Shipping and Waterways ministry to allow operation of Seaplanes to provide cab-like services in India. 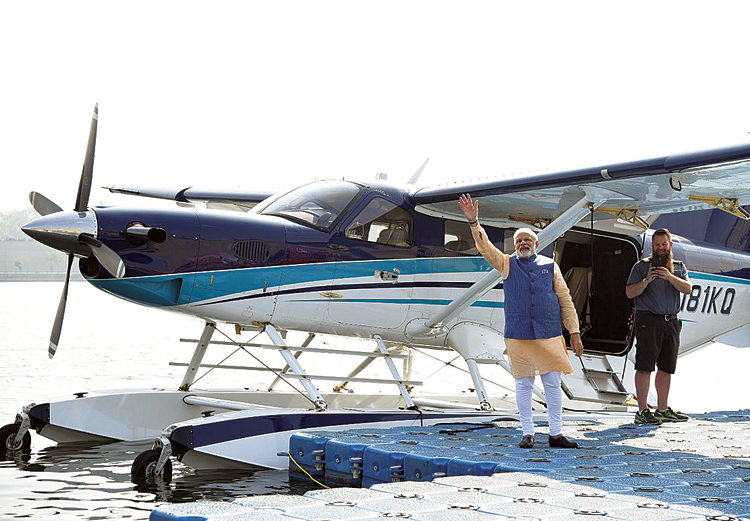 In December 2017, the Prime Minister travelled from the Sabarmati River in Ahmedabad to the Dharoi Dam via seaplane, which was the first-ever flight by such a craft in the country. There is a lot going in the aviation sector, which will have its rub-off on business aviation as well because of the ongoing development of airport infrastructure and MRO facilities in India.